By mid-1929, the new passenger air service route of Transcontinental Air Transport had finally been completed, with its coast-to-coast airway beacon lights, airport terminals, landing fields, and plane-train transfer points for travelers. On July 6th, inaugural flights both east and westbound were launched, with TAT's technical advisor Charles Lindbergh and spokeswoman Amelia Earhart flying several of the route segments. Coast-to-coast service in 48 hours by plane and train was a reality. 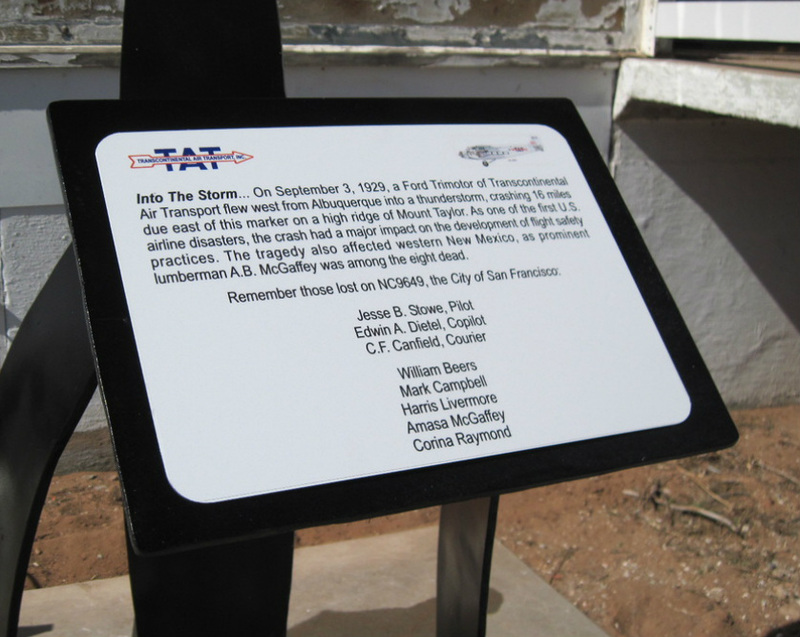 But just two months later, the Ford Trimotor "City of San Francisco" left Albuquerque westbound, and in stormy skies, crashed 30 minutes later high on Mount Taylor's rugged slopes. Aboard were five passengers and a crew of three. All were killed in the crash, as searchers found on reaching the remote site three days later. One passenger, Amasa McGaffey, was a Gallup timber magnate and Albuquerque businessman. His logging and other related businesses never recovered from his death, and as the Depression deepened, the economic impact on western New Mexico was profound. As for Transcontinental Air Transport, the complex plane-train venture rapidly lost momentum - and passengers - after the tragedy, and the airline soon merged into what would become the global air carrier TWA. 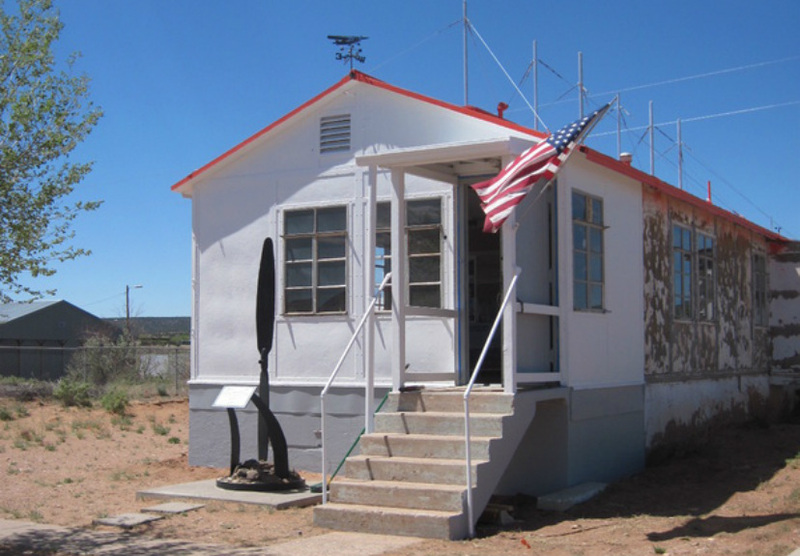 The airway route also was altered in 1930-31, as the line of beacons was straghtened and shifted away from Mt. Taylor, to a southern line fron Albuquerque to Winslow. "Phase 2" expansion, planned for a phased opening in 2014-15.